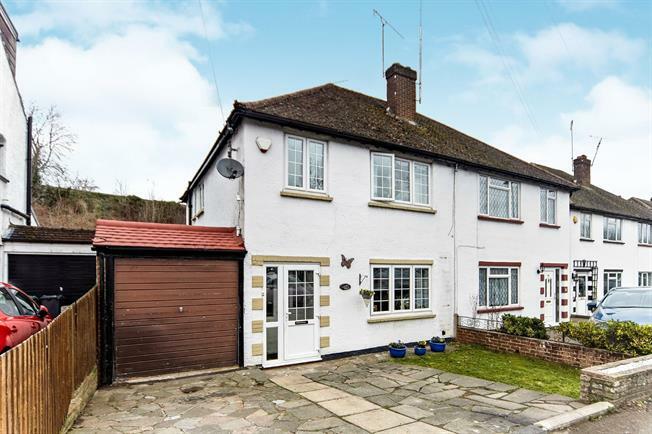 3 Bedroom Semi Detached House For Sale in Coulsdon for £440,000. Bairstow Eves Purley are delighted to offer this versatile three bedroom family home positioned opposite the highly sought after Chipstead Valley Primary School and offered to the market in excellent decorative order throughout yet offering the new owner the opportunity for further extension subject to the required consents being obtained. Having been meticulously maintained by the current owners over the last 14 years this home is perfect for the growing family. The accommodation in brief comprises of porch, entrance hall, open plan living/dining room, beautiful modern fitted kitchen, downstairs W.C with integral door to the garage. To the first floor there is a stunning fully tiled shower room, and three generously proportioned bedrooms. Externally to the front there is off street parking for two vehicles with scope to increase this if required. The rear garden is wonderfully private and extremely low maintenance.